We spent the last part of day 7 to early part of day 9 in Lourdes. 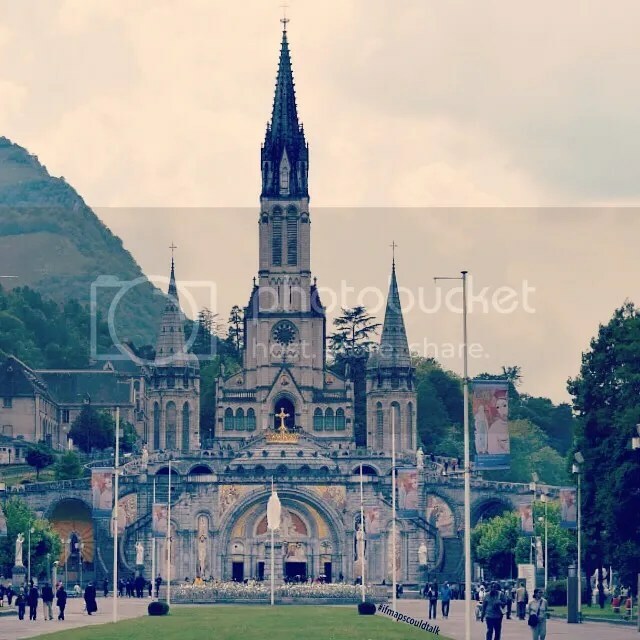 I have been in Lourdes before when I was about 8 years old. I liked how my parents recounted every thing that they remembered when we came here last. Apparently, not a lot has changed except it has become a bit more “touristy” or crowded. 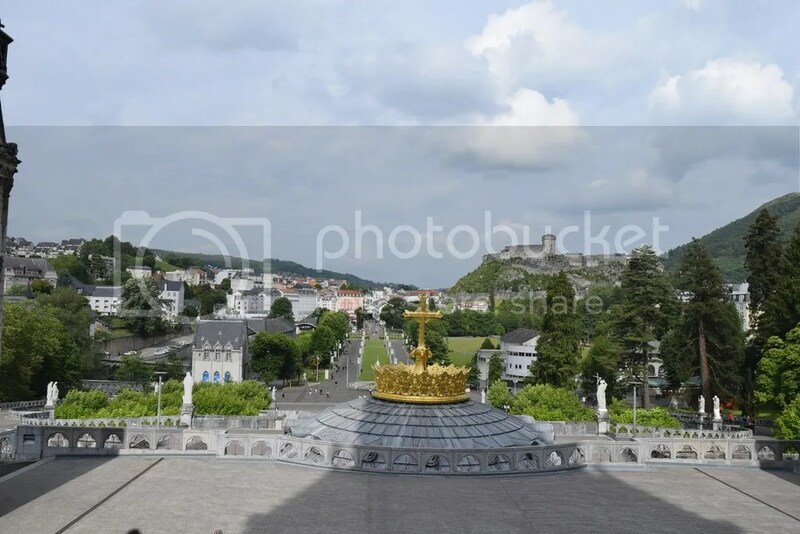 Lourdes is definitely one of the more popular places the Virgin Mary was sighted. 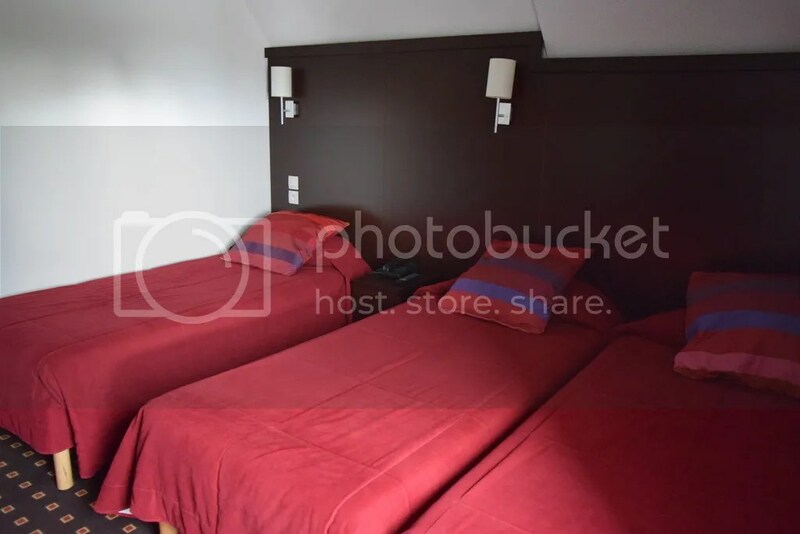 We checked into the hotel at Sainte Rose. It was a nice hotel and very clean. This hotel was about 5 minutes from the sanctuary. 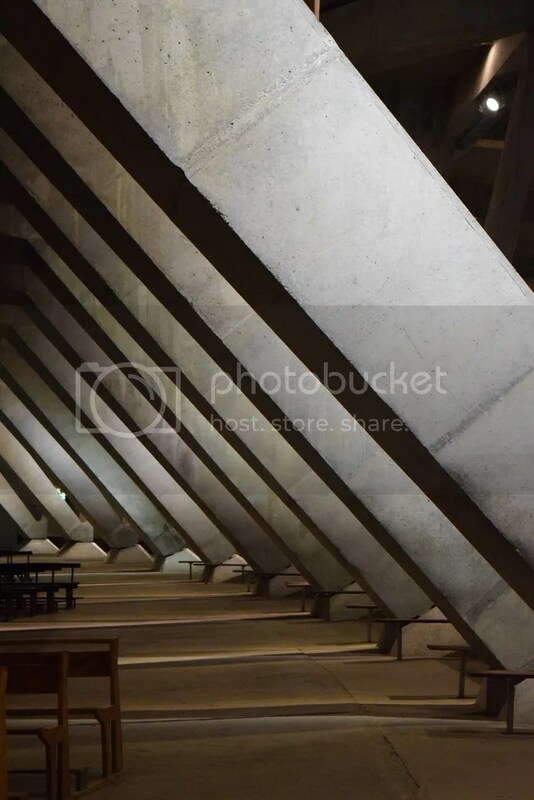 It was a bit difficult to go up and down the elevators. You would have to take two to get down to the street and only 4 people can fit. Apparently, they only have these elevators as the bell man had to bring up the luggages as well. Breakfast and Dinner was served here as well. Food was OK but pretty bare. I mean very humbling. For breakfast it was cereal and pastries. For dinner it was salad, 2 proteins, and dessert. It wasn’t extravagant but you get the idea. On the first day my parents and I did the rosary and candlelight procession. This was a bit different than Fatima’s because they actually have a route for this that covers the whole sanctuary. Plus, it was off and on raining the whole time. I really liked it just because even though they also change the languages throughout the prayer, I at least new the song and sang along (Ave Maria). Unlike Fatima, Lourdes also sells the candles except they don’t sell the cups. You can get the cups at the MANY stores near the hotel. Since it was raining, my parents and I just decided to go back to the hotel and check out Lourdes on the next day. The next day, we had breakfast, a 9:00 am English mass, and a walking tour. The walking tour included the grotto, the shrine, and the birthplace and family home of St. Bernadette. I have to say that this tour guide was the best tour guide I’ve ever encountered. I don’t know if it was the story of Bernadette or she really knew how to project the story of Bernadette. It just made me listen to her more. I believe her when she says that a lot of people come to Lourdes because they want to be healed. They come here sad, but when they leave they come out happy. There is a sense of community when you come to Lourdes. There’s a lot of volunteers and a lot of people who just come together and pray. Although they know that their “sickness” won’t be healed right away, they have a belief that it might be or the hope. There is also a sense that you are not alone. That there is always someone there to encourage you. The walking tour ended around noon. One of the most famous things in Lourdes is the water. It performs miracles. About 50 official miracles are apparently linked to the use of this water. People buy water bottles or those gallon containers and fill it up with the water to take it home. 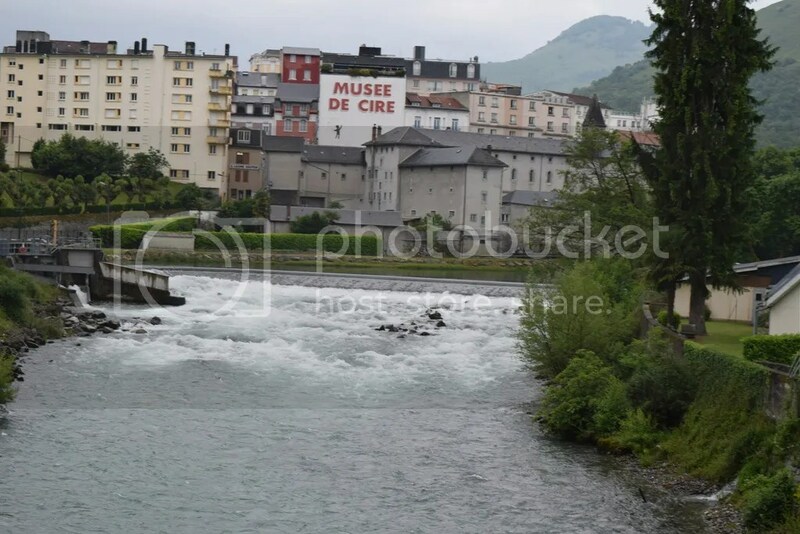 Lourdes also has “the Baths” where it consist of 17 bathtubs made of marble and filled with the water of Lourdes. The baths are free and you don’t have to bring any swimwear. The baths are so popular that it may take more than an hour wait so get there early. The baths opens around 1:30 pm to around 4:00 pm. The baths are separated between men and women. For some reason, men line goes a lot faster than women line. It begins with a prayer with all the volunteers. While you wait there are usually other volunteers that sing and pray. When it’s your turn. There are about 2/3 people who will help you take “a bath.” They take off the sheet and take your bra and put a cold wet towel around you so you’re not as shock when you hit the water. They ask you to pray 2 Hail Marys and a short prayer. Then they help you walk in. It might be freezing at first but it’s not as freezing when they “dip” you. They tell you to almost assume a chair position. They’ll dip and push you back up. They will then take off the wet towel and put on your bra for you and put back the sheet that you came with on top of you. Then you go back to the room and get dressed. For some reason you are dry at the end after the dip. I think it has to do with science. I mean literally, your body goes from warm to cold to hot because you basically submerged yourself in cold water and they do put that sheet on top of you. Also, bring a small towel just in case. Even though your top body is dry your feet may not be. I’m also not sure if they change the water in the tub so you may be bathed in the same water as every body else. I know for sure for that day but not sure if they change it ever. But if it’s truly miracle water and if you really believe then it’s probably clean right? who knows. I think I ended up leaving the bath at 2 pm. Had a short lunch and walked around Lourdes. Then had dinner, and went back to the Lourdes to fill up our containers with water. The next day it was off to Barcelona with a pit stop at Carcassone. Carcassone is small town in France that has a castle and drawbridges from the middle ages. You can pretty much walk all of it in 15 minutes. However, it was raining so I didn’t get to fully appreciate it. Make sure to have a good lunch here! This entry was posted in France, Itinerary, Travel and tagged Carcassone, France, Itinerary, Lourdes, Sainte Rose. Bookmark the permalink.